In honor of Black History Month, we wanted to turn our attention to Broadway – celebrating black Broadway trailblazers and the history of black performers within one of Times Square’s longest-running traditions, but also how history is being made right now. It’s as true for society as it is for dance, and it’s as true for Broadway as it is for society and dance, where new innovations play with decades of theatrical history as well as broader cultural changes and musical influences, where shows are constantly being revived with new meanings, where the cultural legacy of racism but also the incredible work and achievements of black performers, creators, designers, directors, and more have all woven into the fabric of where Broadway is today – and where it will be in twenty or one hundred years. The confluence of the past and present feels particularly apparent in some recent shows of the past few years. 2016’s Shuffle Along, or, the Making of the Musical Sensation of 1921 and All That Followed focused on the challenges and influence of the hit 1921 musical (and starred Audra McDonald, who not only has more performance Tony Award wins than any other actor, but is the only person so far to win in all four acting categories). Once On This Island – the revival of a musical based on a novel by Rosa Guy, one of the founders of the Harlem Writers Guild, which ran from November 2017 to January 2019 – brought together elements from Romeo and Juliet and The Little Mermaid along with the influence of colonialism in French Antilles archipelago. Acclaimed new play Choir Boy, which has been extended twice and will run through March 10, 2019, has lead character Pharus navigate finding his own space and path within the legacy of the legendary gospel choir at his prep school. The 2016 Tony Awards marked the first time all four musical performance awards (Best Performance by a Leading Actress, Leading Actor, Featured Actress, and Featured Actor in a Musical) were won by performers of color. Specifically, they were won by four black actors: Cynthia Erivo (Leading Actress, The Color Purple); Leslie Odom, Jr. (Leading Actor, Hamilton); Renée Elise Goldsberry (Featured Actress, Hamilton); and Daveed Diggs (Featured Actor, Hamilton). The Color Purple has since ended its run and all four actors have moved on to other projects, but Hamilton still showcases the incredible talents of a number of black actors and other actors of color. History is made not just by the trailblazers, but also by the people who do the work after them to turn the trail into the road, paving the way from the past to the future. And the work continues: in January 2019, actress Brittney Johnson became the first black woman to play Glinda in the Broadway production of Wicked, saying on Twitter, "The importance of this moment in history is only amplified by the message of this beautiful show: Love, friendship, and kindness are stronger than any division caused by a fear of "otherness". Love can break down barriers to change the world. I'm so grateful to the Wicked team for trusting me to tell this story." Other shows currently on Broadway showcase the talents of incredible black actors including Jeremy Pope and his co-stars in Choir Boy (written by Moonlight co-writer Tarell Alvin McCraney), LaTanya Richardson Jackson in To Kill A Mockingbird, Noma Dumezweni in Harry Potter and the Cursed Child, Denée Benton and others in Hamilton, Christiani Pitts in King Kong, Bradley Gibson and others in The Lion King, and more. 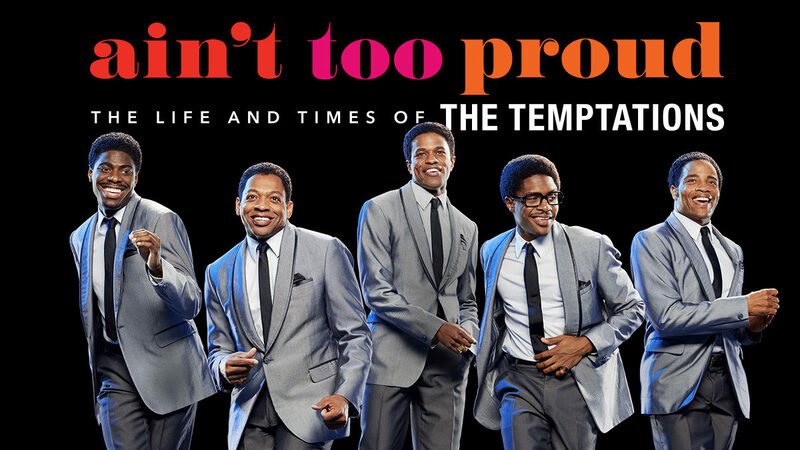 We’re also looking forward to seeing Pope in upcoming show Ain't Too Proud, which traces the rise of influntial and chart-topping Motown group The Temptations and will begin previews on February 28, 2019.